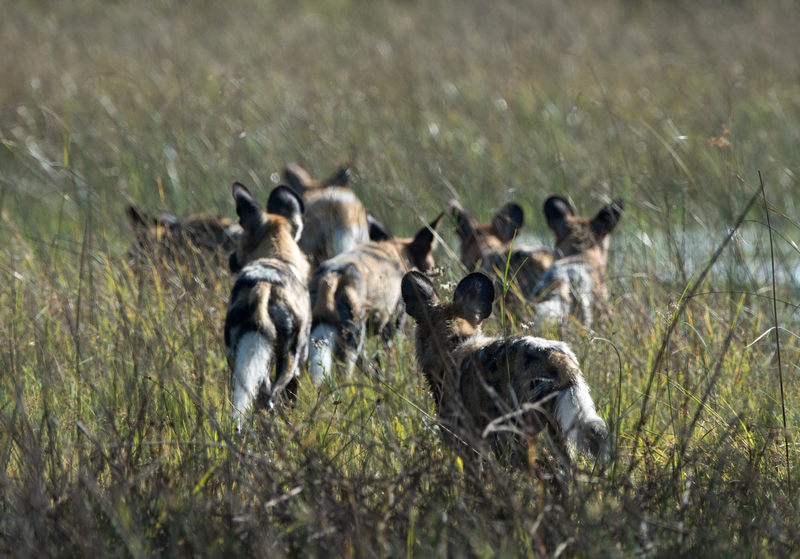 We were excited to see that the alpha female of the wild dog pack of eight was heavily pregnant and that she was busy digging around termite mounds as though looking for a den site. 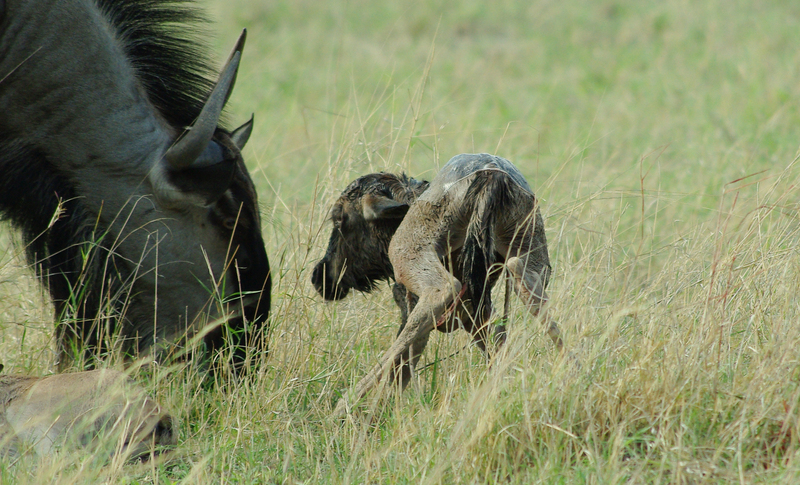 Her chosen location appeared to be very close to Little Kwara’s staff village, so the dogs were seen hunting impala in and around the camp island very regularly. Right at the start of April they came into conflict with a smaller pack of three dogs and a big fight ensued. Luckily none of the dogs suffered fatal injuries, although one of the dogs from the pack of eight lost half a tail. After this, the pack of three moved further to the west of the concession, but the larger pack stayed close to the camps and we stayed hopeful that they would den nearby. Watch this space…. Spotted hyenas had already started denning and in April we were able have lovely sightings of the mothers suckling their cubs. 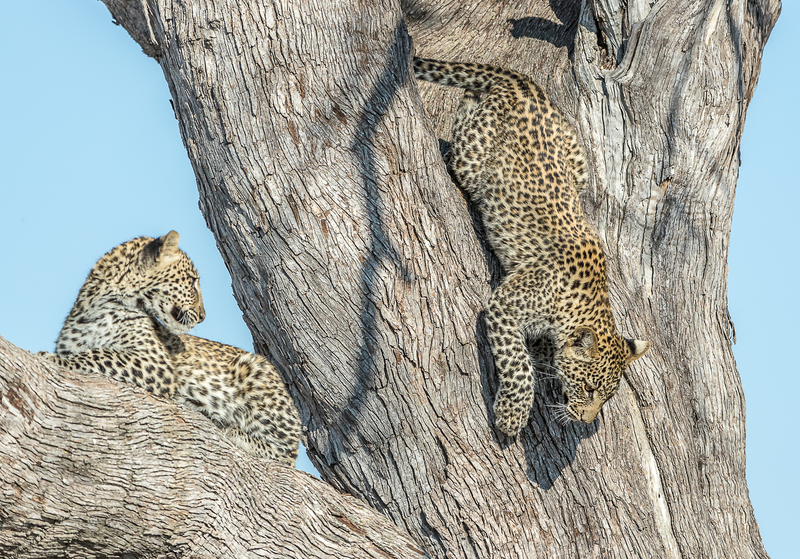 The two cubs were believed to be a couple of months old and were starting to be playful. A resident female leopard was also believed to be pregnant; this individual was relaxed and in great condition. 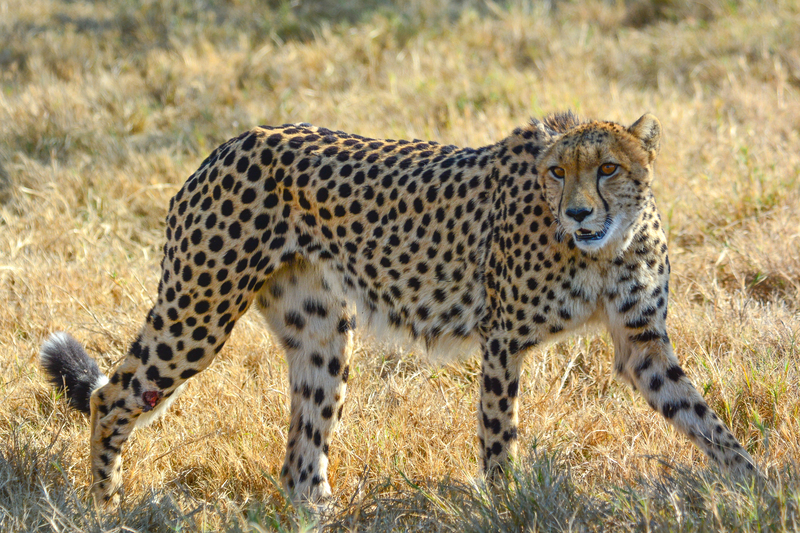 She was seen stalking reedbuck through the marshes and on another remarkable occasion was seen killing a civet right in front of the vehicle. Towards the end of the month, after not seeing her for a couple of weeks, we picked up her tracks and found her walking along the side of the runway. We were delighted to see that she was lactating, so hopefully we will have some new leopard cub sightings soon. There was a different female on the east of the concession, towards Splash and we were able to watch her hunting a few times. 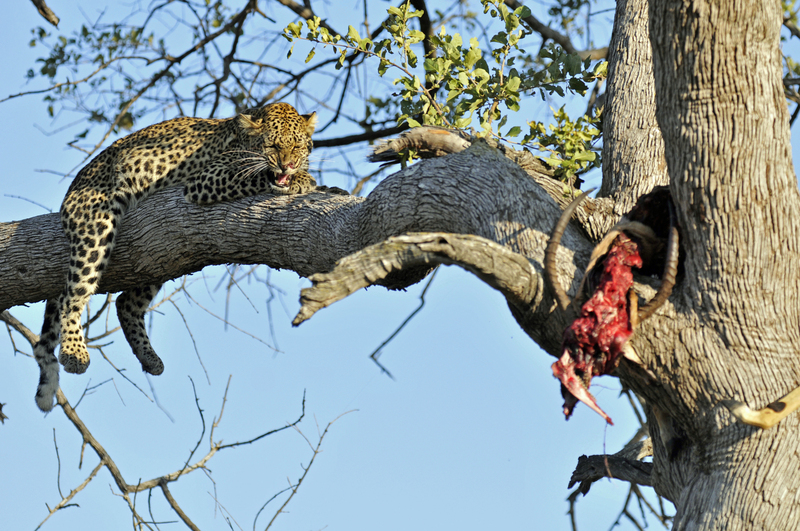 A handsome male leopard killed a female impala and dragged it up a sausage tree where he stayed for at least three days. Very conveniently, this was on the road between the camp and the airstrip, creating some special first and last impressions for guests. The kill attracted hyenas who waited at the bottom of the tree, hoping that some juicy morsels might fall to the ground. 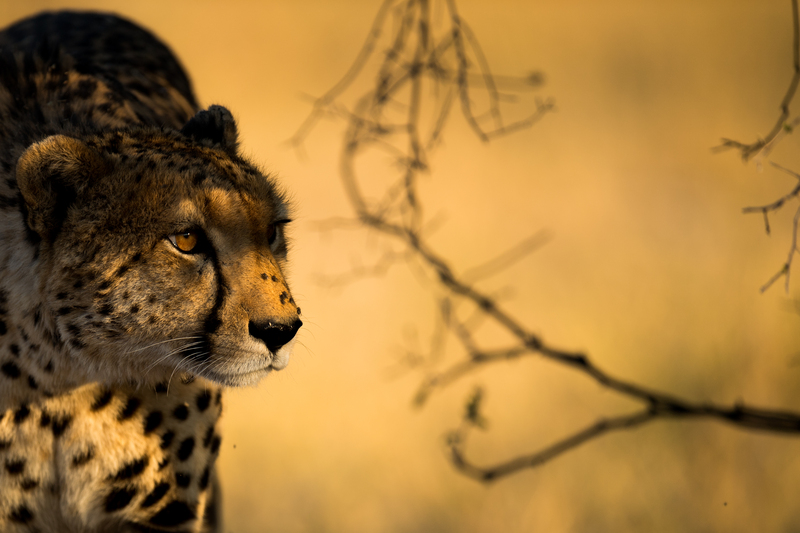 At the start of the month guests were lucky enough to see the resident male cheetah, known as “Special” mating with a female. They stayed together for three days. This individual regularly clambers up onto a large rain tree as part of his territorial marking and it is always a remarkable sight to see this tree-climbing behaviour. We also saw him hunting both zebra and impala. 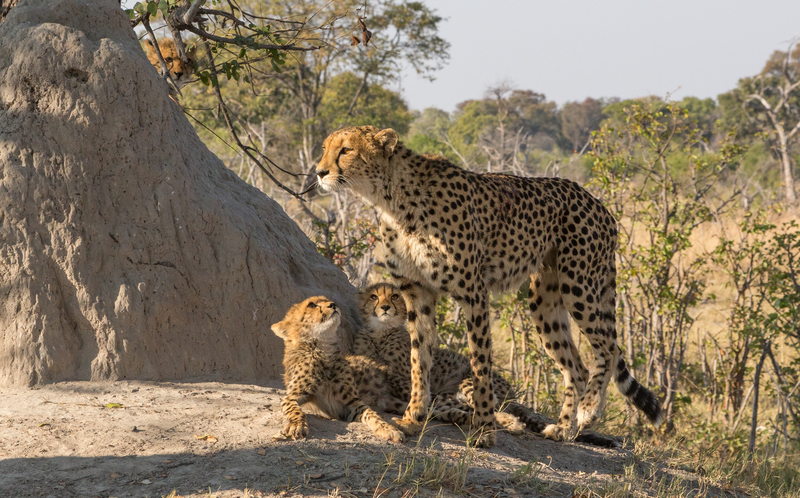 A mother cheetah with two cubs was seen regularly, but the guides were worried for them as she didn’t seem to be having much success with her hunts and the cubs looked hungry. 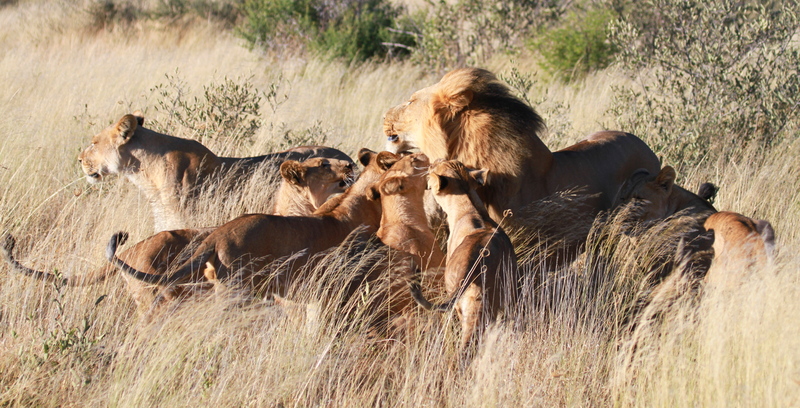 As always, there was plenty of lion action at Kwara. The Mma Mogotla Pride killed a zebra in broad daylight. Our guides noted that the sub-adult males were growing their manes and fighting with their sisters to get first share of the kill. On the eastern side of the concession near Splash there was a pride of two males and two females in great condition. 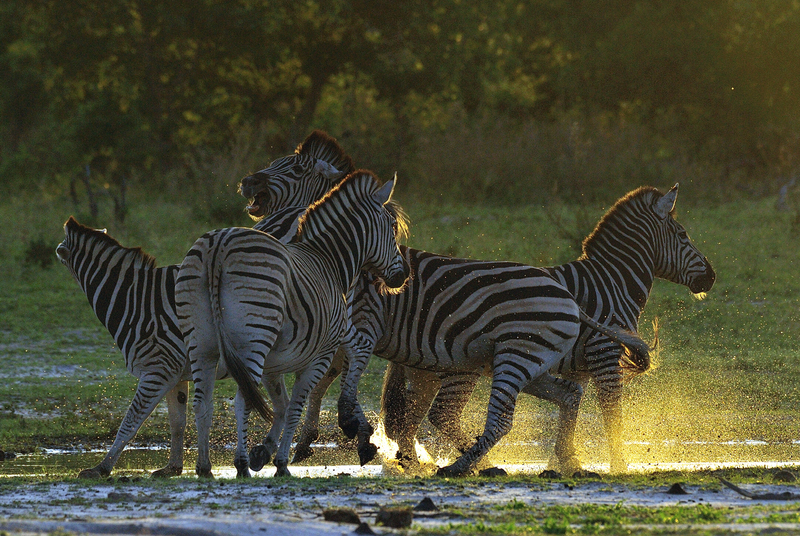 They were found on a zebra kill and the males were roaring the whole night. 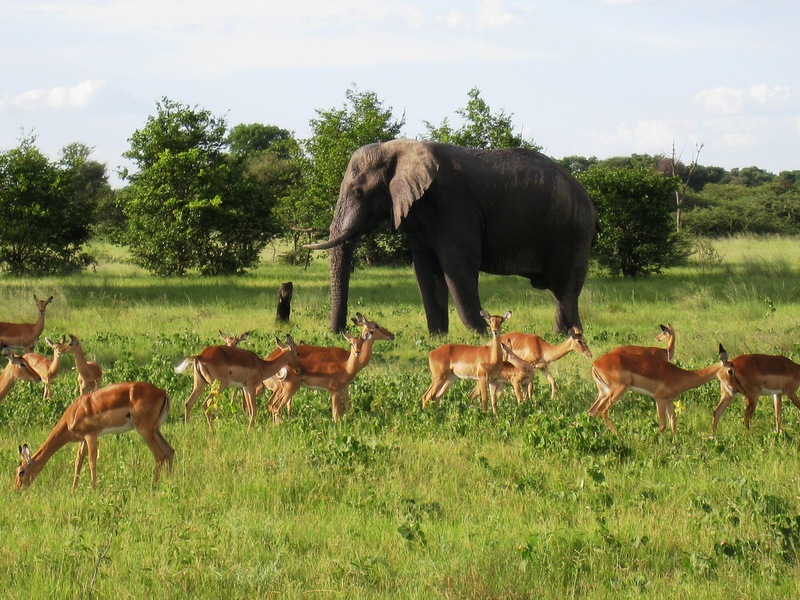 Big breeding herds of elephant were seen and guests enjoyed watching them feeding and bathing. Giraffe were plentiful and mothers could be observed suckling their calves. Impala started their rutting season with the males vocally advertising their territories and vigorously defending their harems of females. The sunset boat cruise produced beautiful sightings of malachite and pied kingfishers, different bee-eaters species, crocodiles, hippos and water monitors. Right at the end of the month we had a lucky sighting of a female aardwolf.